Sheffield Wednesday fans will no longer be able to hear live commentary of their side's matches on the BBC after the club rejected a new deal. The Owls were the only one of 62 clubs whose deals were up for renewal not to reach an agreement, after being asked to take a 10% reduction in fees. BBC Radio Sheffield said it was "disappointed" the club had not accepted the deal. A club spokesman said it would offer commentary via its iFollow service. BBC Radio Sheffield said it was "sad" it would no longer be able to provide commentary. "We have a long history with the club and have enjoyed bringing fans live commentary of The Owls' home and away fixtures," it said in a statement. "We want to work with the club in the future and will continue to provide the latest news about Sheffield Wednesday to our listeners." 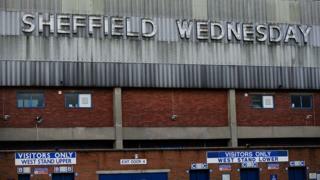 Sheffield Wednesday said the offer made by the BBC was "significantly less" than in previous years. It said: "This development was unprecedented and despite our best efforts to seek a renewal on the same terms, agreement could not be reached." The club said that as a result of failing to strike a deal it would extend its online commentary service to include away matches. BBC Radio Sheffield will continue to provide goal flashes along with pre and post-match summaries of Sheffield Wednesday's 2018-19 season. The station will also provide live coverage of Sheffield United, Barnsley, Rotherham United and Doncaster Rovers' fixtures.